It is so important to save money each month, after all you never know when you might need an extra helping hand. Unexpected expenses can be a nightmare, from car emergencies to home improvements that do not go quite as planned, or if you have pets then you better be prepared for a never ending cash flow. My dog hurt his front leg recently and if he hadn't been insured, it would have cost nearly £1000 and that is so far, then there is his weekly hydrotherapy and physio to consider. 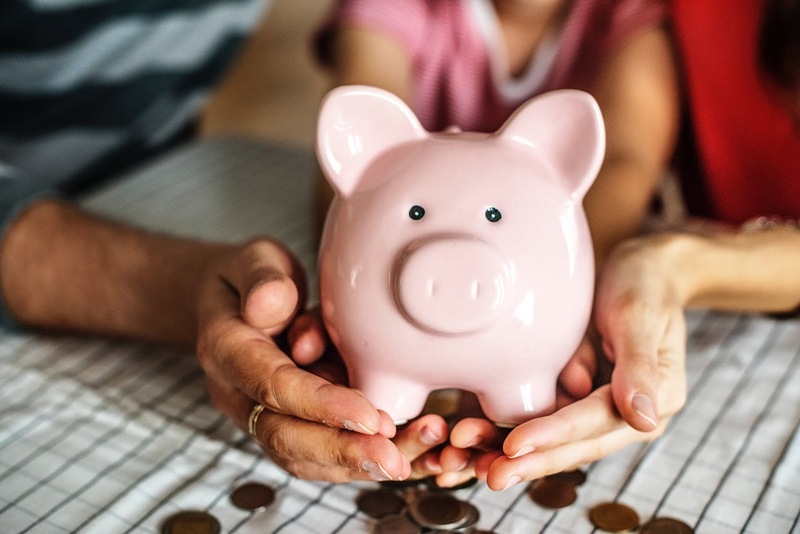 There are so many ways to save a little extra each month that could be useful, if you look after the pennies the pounds look after themselves. Car insurance, house insurance and energy providers are a great way of cutting your monthly outgoings once a year. I always compare prices online to my renewal prices and the majority of time they are considerably cheaper. I saved £60 per month by doing this in August. Another easy way is to use a meal plan each week and write a shopping list, you will not buy anything unnecessarily. Half of the time we go shopping we put items in the trolley we don't really need. Try switching to the supermarket brands instead of big name products this can also save you quite a bit each week. Cooking you own meals is more economical than buying ready meals. Any extra you save on shopping put it in your emergency fund. Prepare your own lunches in advance and save the money you would spend, another little extra for the emergency fund. Not only do home made lunches taste better, they are a lot healthier. If you can afford an holiday than by all means take one, we work hard so we deserve some relaxation. You can still save money on holidays and flights by shopping around, flights are a lot cheaper when they first come out, approximately 9-12 months before. Package holidays are simple but it often works out cheaper to pay for your flight, hotel and transfers separately. Drop the designer labels and you can save a fortune. Luckily my daughter isn't really in to labels at the minute and will quite happily shop in high street stores where £25 can buy her a bag full of clothes, yes they probably won't last long but none of her clothes do. Put all your loose change in a pot, it is surprising how this adds up. My daughter uses our pot for her holiday spending money. Each year there is usually around £75 in it. If you need money in an emergency and you have no other way of raising cash instantly, then pay day loans are an option but remember if you do not meet your payment dates you can end up with serious money problems. You can check out the Consumer credit index to find out how many people use high cost short term loans, from the data supplied it appears lots of people do. Always read the small print and consider the impact it will have before you make any financial commitments.